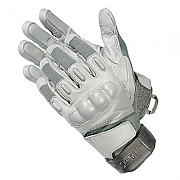 Covert and heavy duty combat gloves for tactical and military assault use. Our combat gloves are durable and hard-working with most styles including Kevlar gloves and NOMEX gloves and some with increased wrist coverage. Many of our military combat gloves are lightweight and ideal as patrol gloves, others are more suitable as Police gloves or as combat assault gloves. 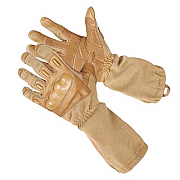 Blackhawk Fury Commando Gloves NOMEX, Low profile wrist protecting gloves with NOMEX. Blackhawk SOLAG Full Finger Gloves Kevlar, ergonomically designed special operations glove with additional Kevlar protection. 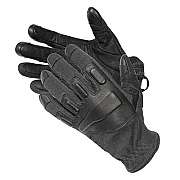 These Blackhawk S.O.L.A.G gloves with Kevlar are ideal for Police or urban operations. An innovation from Blackhawk. Mechanix MPACT Covert Gloves, hard-wearing and cool light assault gloves. 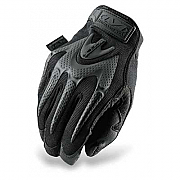 Mechanix MPACT Black Covert Gloves are an ideal light assault glove, for military, police or close protection use. Blackhawk SOLAG HD Gloves - Kevlar, Kevlar reinforced gloves for special operations light assault. 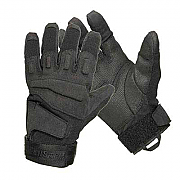 These Blackhawk S.O.L.A.G HD Gloves with Kevlar are ideal for Police or urban operations. An innovation from Blackhawk. 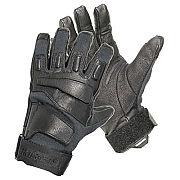 The Blackhawk Fury HD with NOMEX Gloves are a heavy-duty version of the popular Fury tactical glove. Blackhawk Fury HD with NOMEX Gloves share many features with the standard version such as an extended gauntlet, DuPont™ NOMEX® flame and flash protection, reinforced fingertips, and leather cradle reinforcement to prevent abrasion of the NOMEX® from weapon slides. 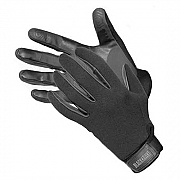 Blackhawk Neoprene Patrol Gloves, The finest patrol gloves available for warm comfort and enhanced grip. Blackhawk Neoprene Patrol Gloves are truly the finest available. Don’t let the name fool you. Blackhawk Neoprene Patrol gloves are great for waterborne ops, or outdoor recreation, when warm comfort and enhanced grip are needed. 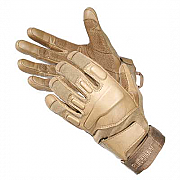 Blackhawk Fury Commando Gloves Kevlar reinforced commando gloves with full wrist protection. These Fury Commando Gloves With Kevlar are ideal for Police or urban operations, where wrist protection is required. An innovation from Blackhawk. Blackhawk CRG2 Cut Resistant Patrol Gloves with Spectra, Police patrol and search gloves. Blackhawk CRG1 Cut Resistant Patrol Gloves with Kevlar, Police patrol and search gloves. Blackhawk CRG1 Cut Resistant Patrol Gloves with Kevlar are a new glove from Blackhawk for 2010 and feature a cut resistant KEVLAR® reinforced palm, with form-fitting ergonomic cut and flexible neoprene/spandex shell. Blackhawk SOLAG Special Ops Full Finger Light Assault Gloves are excellent all-purpose tactical gloves with a synthetic-material construction that dries quickly and provides secure grip on wet surfaces. These gloves allow great dexterity for weapon handling and are good all-round gloves for Police or Military operations. 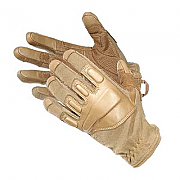 Blackhawk SOLAG Full Finger Gloves NOMEX protected special operations gloves with ergonomic fit.